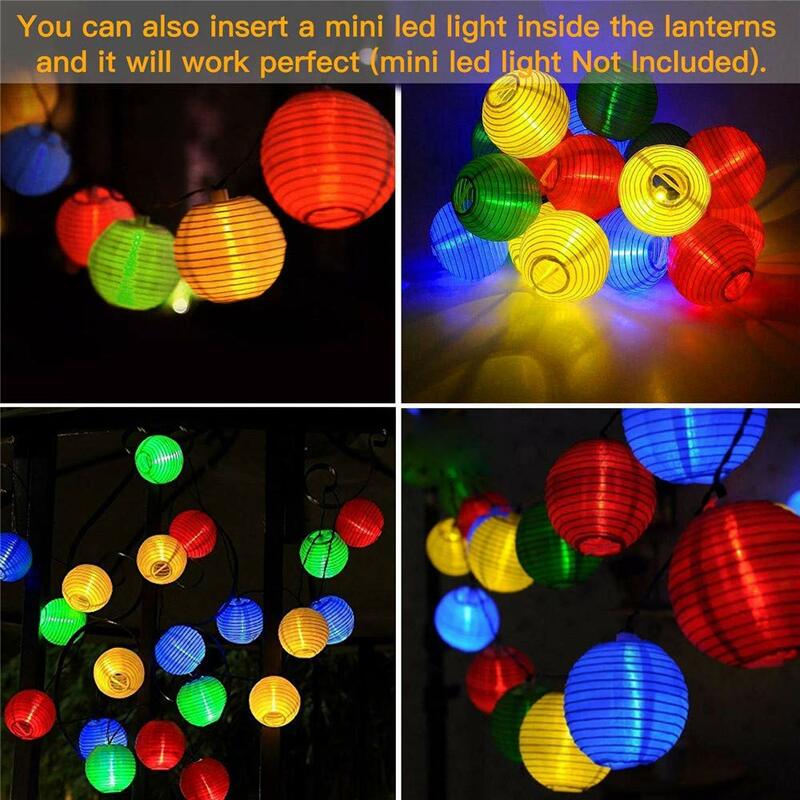 EASY TO OPERATE & INSTALL-These globe lanterns lights are collapsible, each lantern expanding with a metal frame. 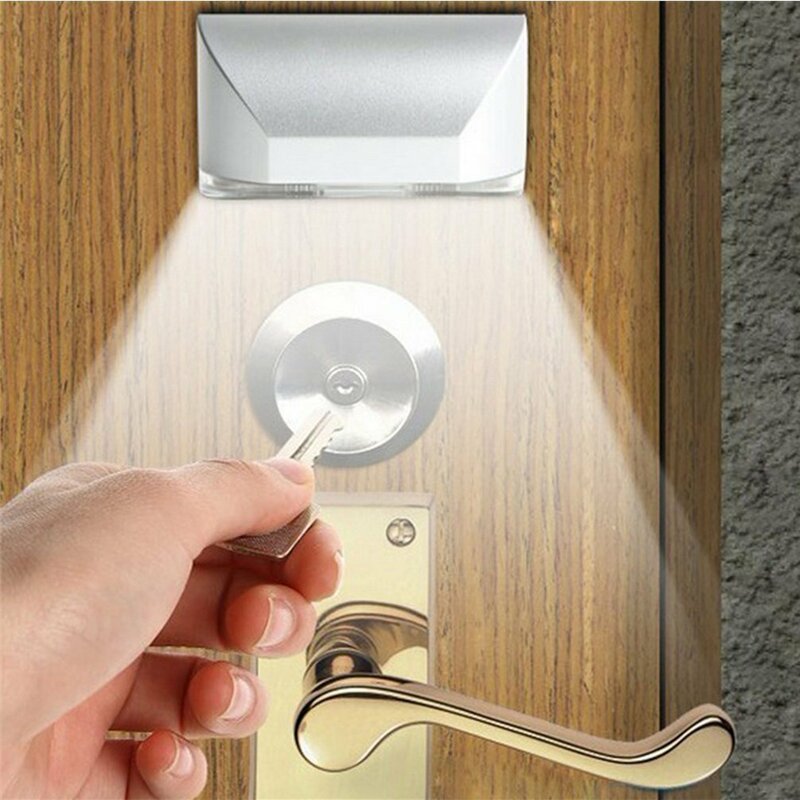 Easy installations can be done in minutes without experience required. 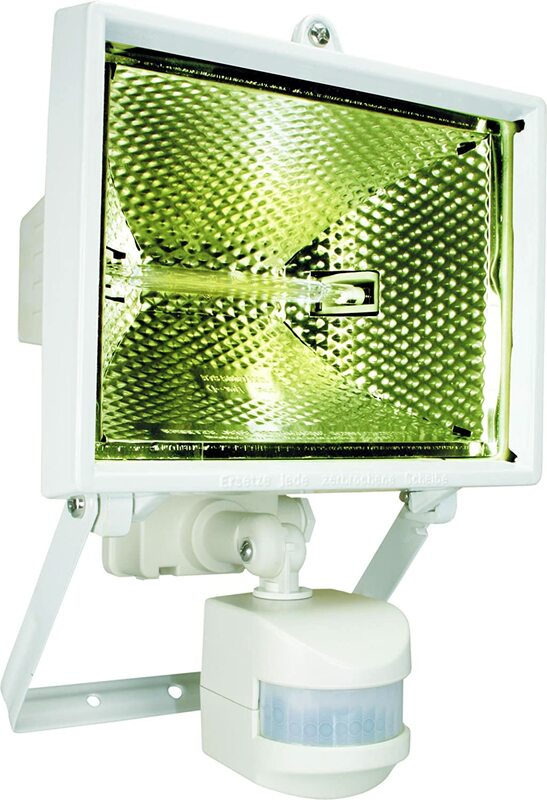 DUSK TO DAWN: it work at night automatically after charged enough sunlight. They collect sunlight all day and turn themselves on to cast a beautiful glow by night. 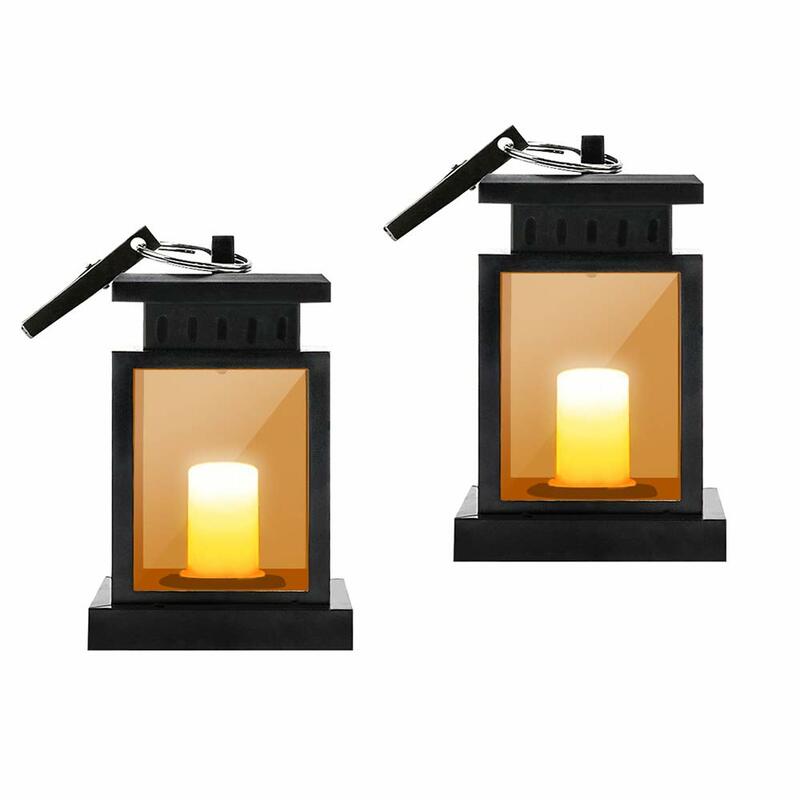 Glow solar lanterns are constructed of heavy duty nylon for outdoor use. 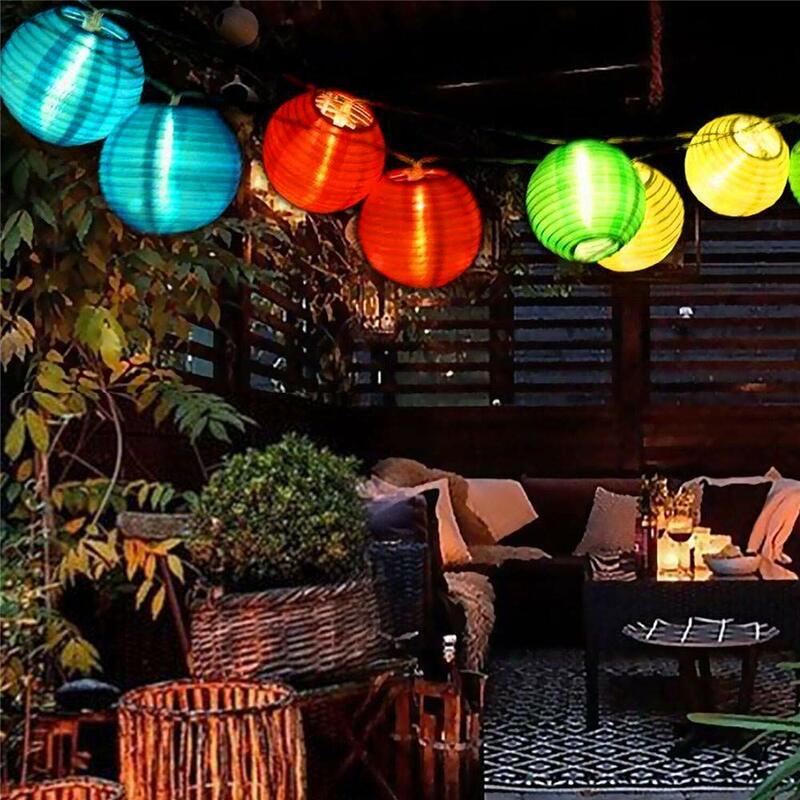 WIDELY APPLICATION- ideal for everyday use or for decorating for weddings ,garden parties and other special events also in the yard, porch, patio, deck, lawn or garden. 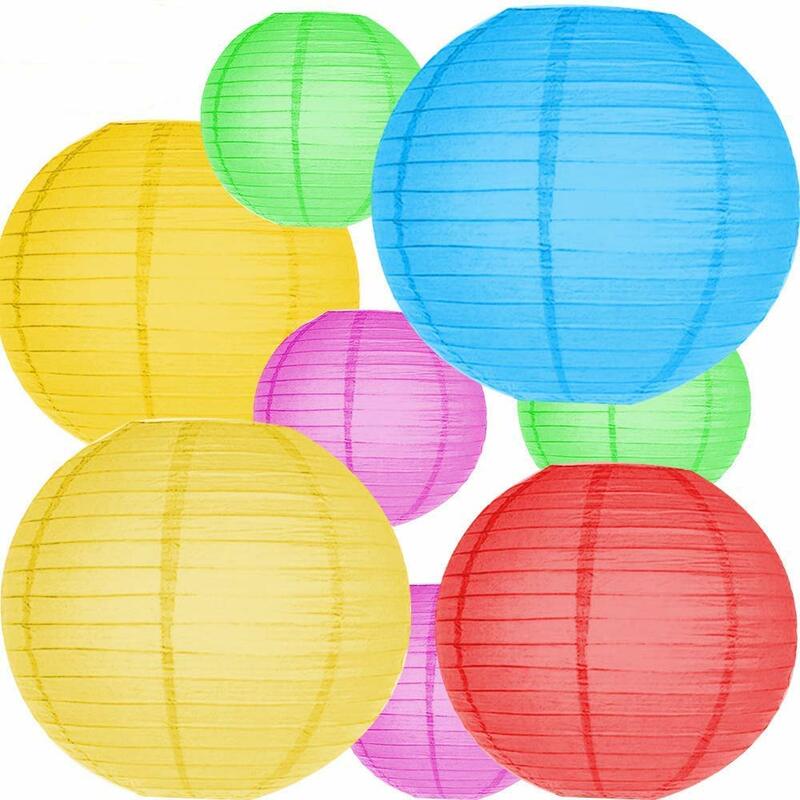 Perfect for Decoration - Multicolor paper lanterns are ideal for events such as weddings, baby shower, birthday, BBQ, celebrations, room décor, bridal shower, Easter, Christmas, Chinese new years, and general ambiance, decoration, celebration and other theme parties. 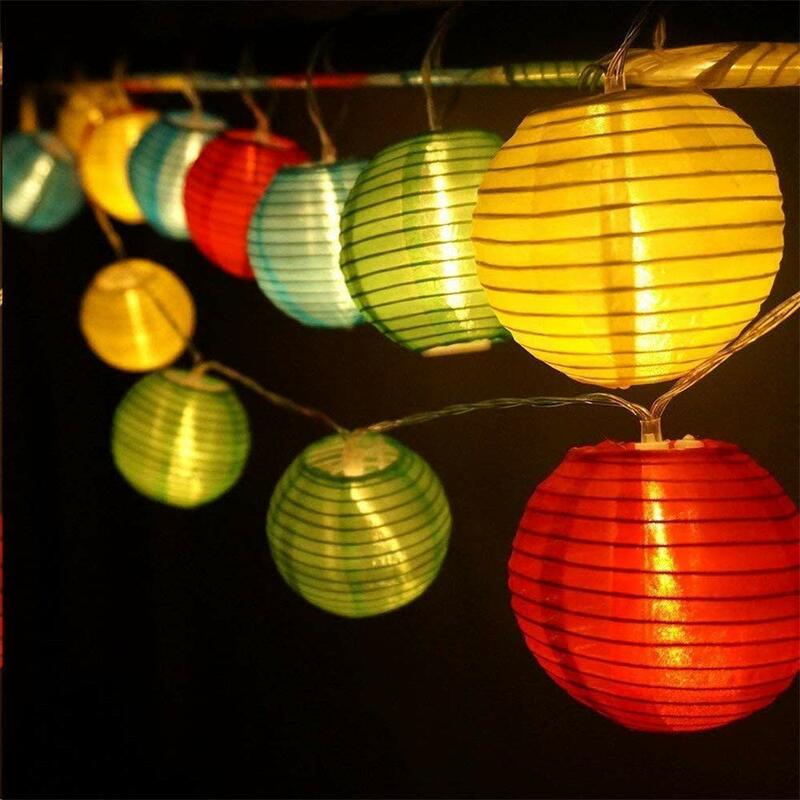 Paper lanterns can give you a wide variety to make excellent backdrop or even just hung around the room. 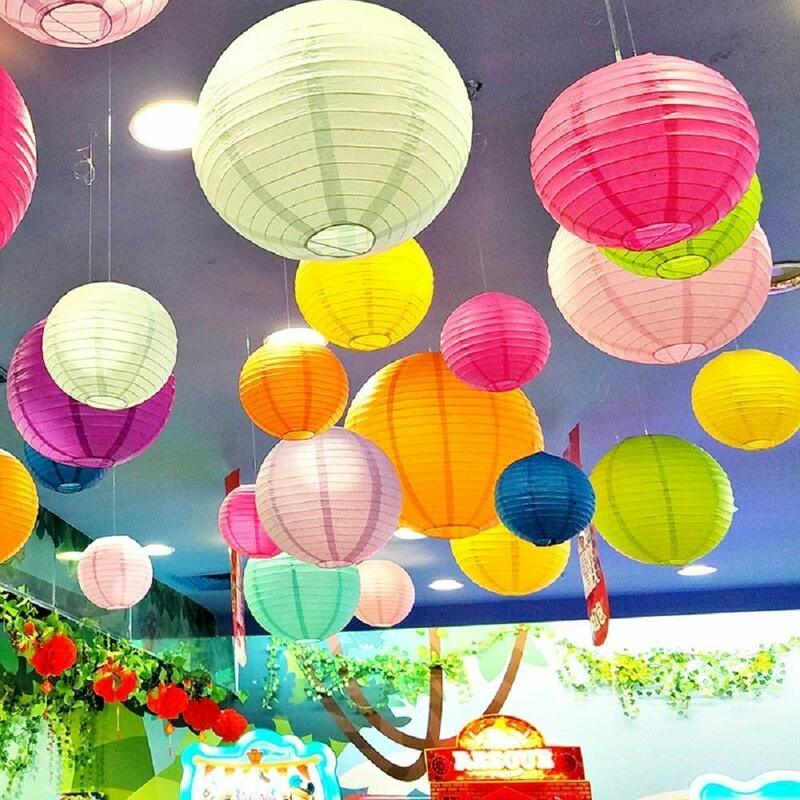 How to install the Colorful Paper Lanterns? 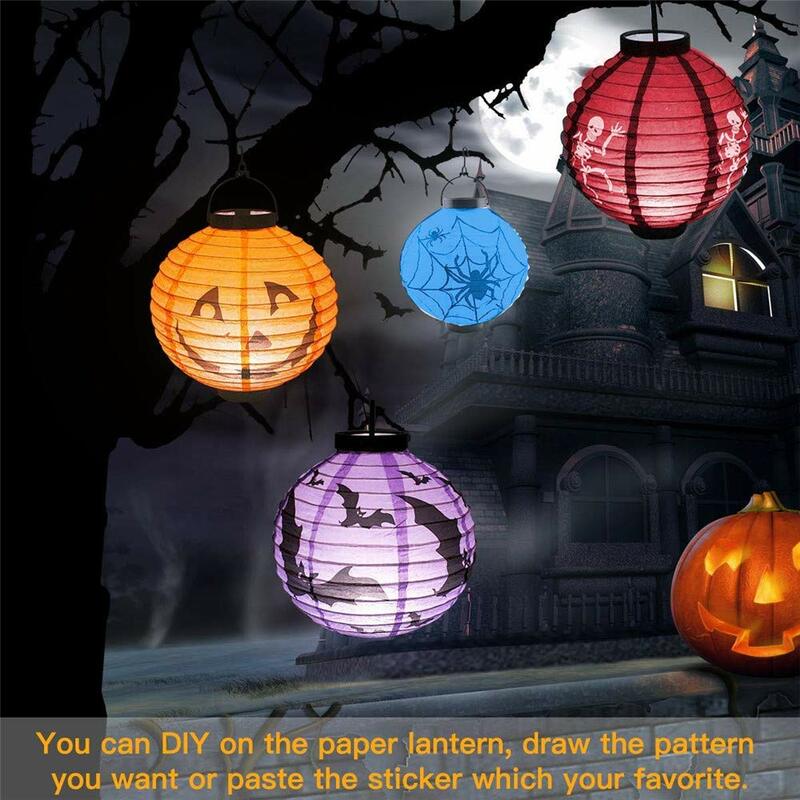 Step 1: Remove your paper lantern and metal frame from the bag, one metal frame matches one paper lantern. Step 2: Push metal frame into lantern in vertical direction to make the lantern prop. Step 3: Push the raised part of metal frame into ring of lantern when the lantern is totally open. Step 4: Hang the paper lantern with C-hook.